McLeary Lift Equipment was established in 1976. We are a family owned and operated business who has been proudly serving the GTA for over 35 years. We offer forklift sales, rentals, repairs and service, and annual safety certifications. We take pride in our fast, efficient and knowledgeable service and we strive to meet all of our customers needs. 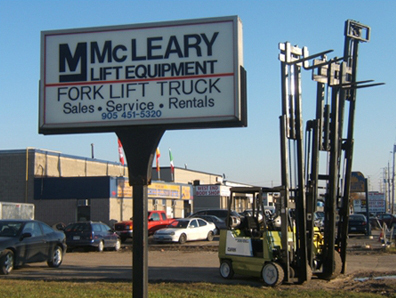 McLeary Lift is your one stop shop for all of your lift equipment needs.